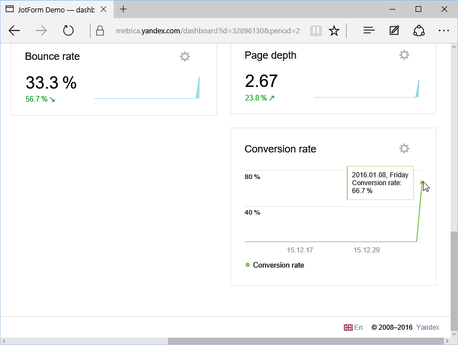 Yandex.Metrica® is a free tool that helps you increase the conversion rate of your site. 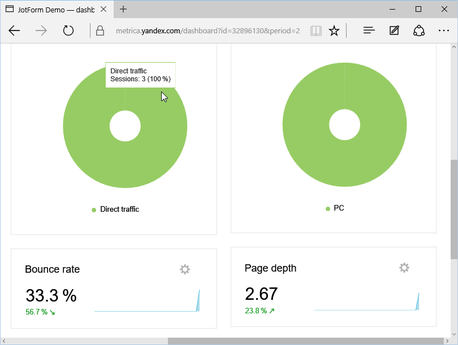 Metrica lets you monitor the key effectiveness indicators of your website, analyze user behavior, and evaluate the efficiency of your ad campaigns. 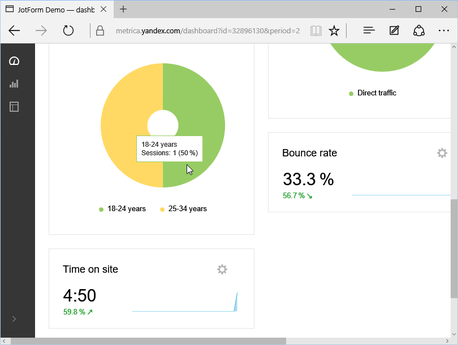 The Yandex Metrica Widget is designed to track and analyze your form views, visits and other statistics through Yandex Metrica®. 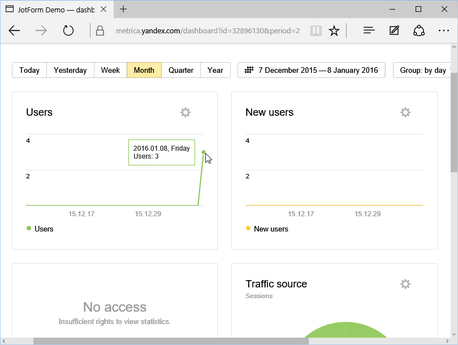 To configure this widget, all you need is your Yandex Metrica ID. 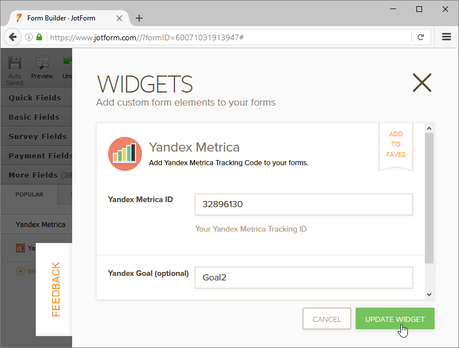 You can optionally create Yandex goals and track them via specific events on the form as configured on your Yandex Metrica® account. 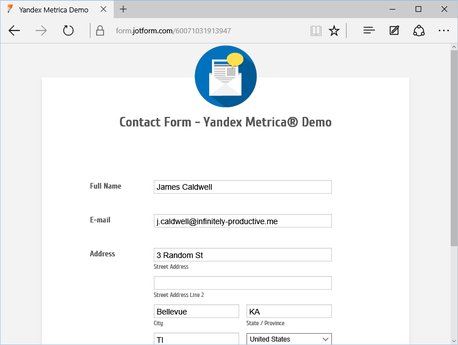 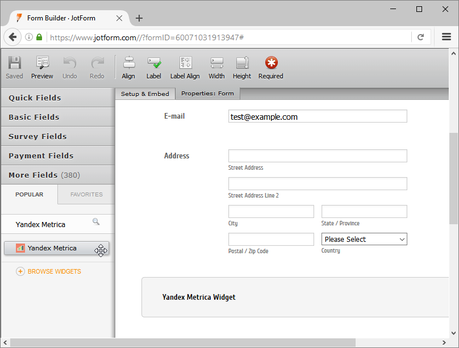 How to assign a target for yandex you press the button to send the form?